For those of us doing climate change activism in the USA we can get downright discouraged by the wall of denial that blocks action, particularly by lawmakers in Washington, DC. Besides the actual denial, we have to deal with the anger and despondency from people who feel hopeless as they see the logjam and inaction stagnating in congress. Ah, but there is movement! I have been cheered by the news of US Congress members in the Republican Party taking positive steps to address climate change. Perhaps the most dramatic and meaningful moment came when a Republican-led resolution was put forward by Republican lawmaker Chris Gibson (NY-19). Other moderate Republicans signed on AND even one lawmaker who refused to acknowledge the climate crisis and now is an advocate for climate action. See: Jolly good! 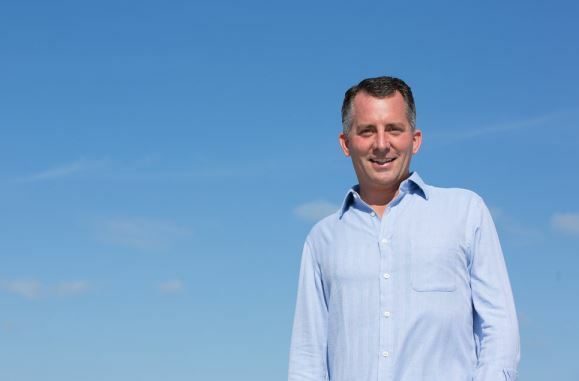 Florida rep joins sponsors of Gibson climate resolution. My friend and climate colleague, Penn Garvin, first learned about the Gibson Resolution during the Save the Coffee Bean house party I held in October. I talked about the work we were doing with Citizens Climate Lobby to build relationships with lawmakers. She was thrilled to discover that something is actually happening in DC. So much so that the other day she published an opinion piece in the local paper, the Sunbury Daily Item. It is a brilliant piece that I must share with you. Let’s start talking with our neighbors, in our churches and organizations and with our elected officials about what we in our area can do to protect ourselves against these negative impacts. We owe it to ourselves, our children and our grandchildren! This is the fourth and last installment of my series, A Shameless Foodie on a Mission. 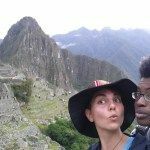 I first talked about the shock I found in my encounter with fast food in Peru and the way globalization can actually limit some of our food choices. Then I introduced you to a Walmart look a like–the Mega Store. 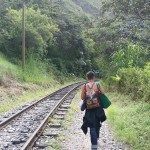 From there I ran to find the closest Mercado, a wonderful world of local foods including over 1200 types of potatoes, and a recipe for the Super Potato! Now I am thrilled to tantalize you with some of the amazing Peruvian dishes Adri and I have been enjoying. 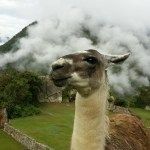 I write this from a farm in Chile, and even though it has only been 2 weeks since we left Peru, I can’t help feeling sentimental about the flavors, colors and textures found in Peruvian cuisine. This may be the best example of all these elements in one dish. Colors pop off the plate and all of your senses are left deeply satiated. Raw fish is marinated in lime juice only minutes before it is served, leaving the inside of each sashimi-like morsel uncooked by the acid of the lime. The texture is buttery and the flavor of the fish paired with sweet potato and Choclo (Peruvian corn) is mouth-watering. The ceviche alone has made me consider taking the 35 hour bus ride back to Peru just to indulge in the food a few more weeks before our flight home from Santiago. My second favorite dish is an example of how looks aren’t everything. 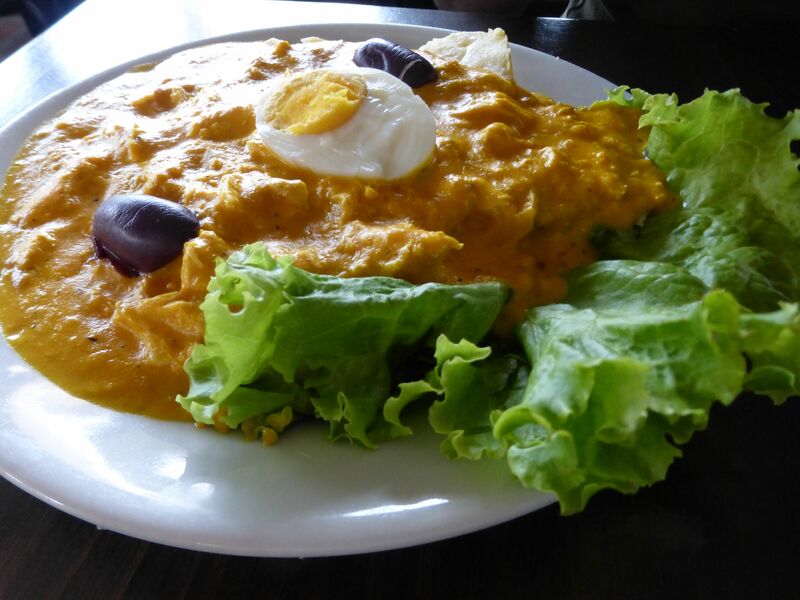 Aji de Gallina is a platter of shredded chicken and potatoes smothered in a bright yellow sauce over rice. It is visually monotonous except for the Kalamata olives and sliced boiled egg that decorate the top. It does not look appetizing, but one whiff will have you reconsidering, and one bite will have you addicted. 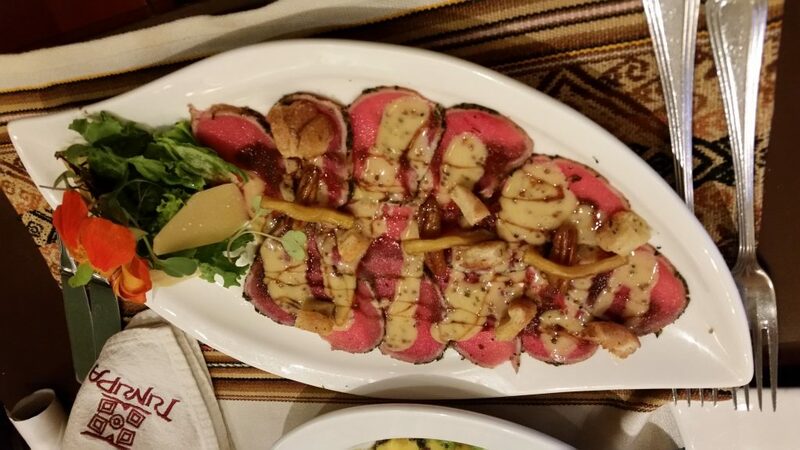 The yellow sauce is a puree of Peruvian chili and cream that carries a perfect balance of bite and decadence. You will surprise yourself by finishing the large portion of heavy ingredients and will likely be daydreaming about ordering another by the next morning. 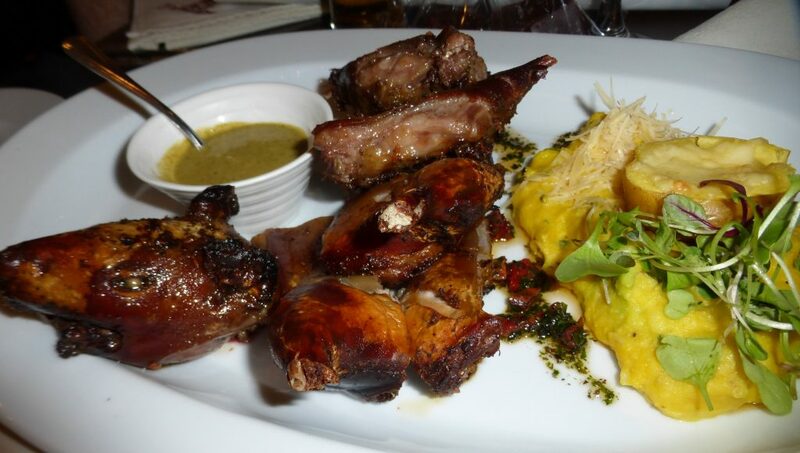 Peruvian food is the next big thing on the gourmet food scene. 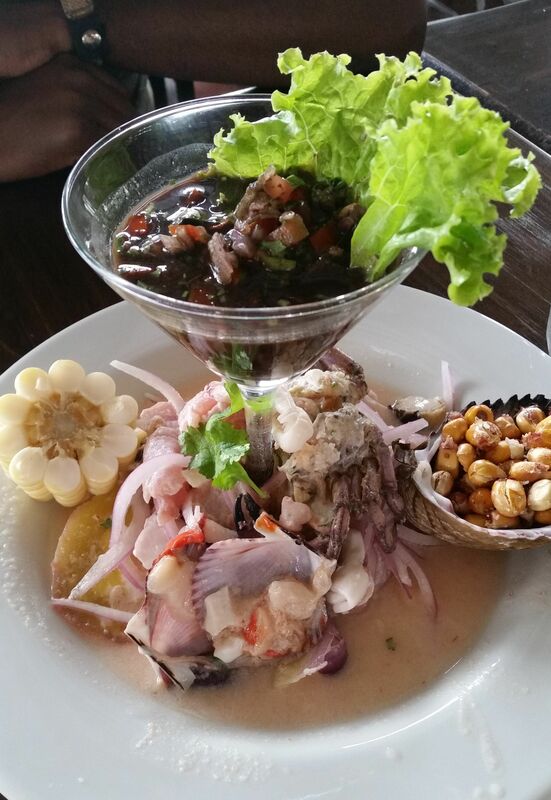 Peruvian restaurants are opening in food capitals around the world and getting 5 star reviews. One reason for its’ popularity is a recent trend in Peru to begin incorporating exotic Amazonian ingredients into contemporary and fusion cuisines. Lima, the capital of Peru, has been a pioneer when it comes to using flavors from the Amazon, a practice that is controversial when it comes to sustainability and ethics. To be honest, I did not go to a lot of the restaurants that serve what is considered gourmet Peruvian cuisine because they were expensive and often had a 2 week long waiting lists. However, I didn’t need to eat at the 5 star restaurants to get an appreciation for the exotic and innovative nature of Peruvian cuisine. We still managed to go to a lot of good restaurants that were highly recommended by the guide books and locals alike. It took me until the last day of our two week stay in Lima to find my favorite meal. 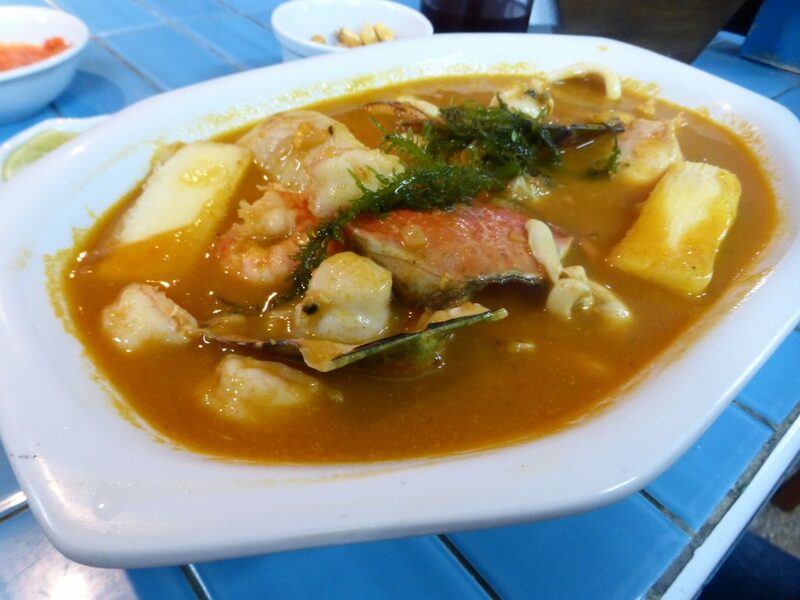 It was in one of many seafood restaurants within the Surquillo Mercado in Miraflores. A bustling Mercado, packed with all the many wonders I highlighted in my last post, but with an even more extensive fresh fish and seafood section. Of course, it had been right around the corner from our stomping grounds the whole time. Many of the vendors selling fresh seafood also sold seafood soup or ceviche as well. They all looked good but one had more locals crammed on tiny stools than the others, and that made our decision easy. 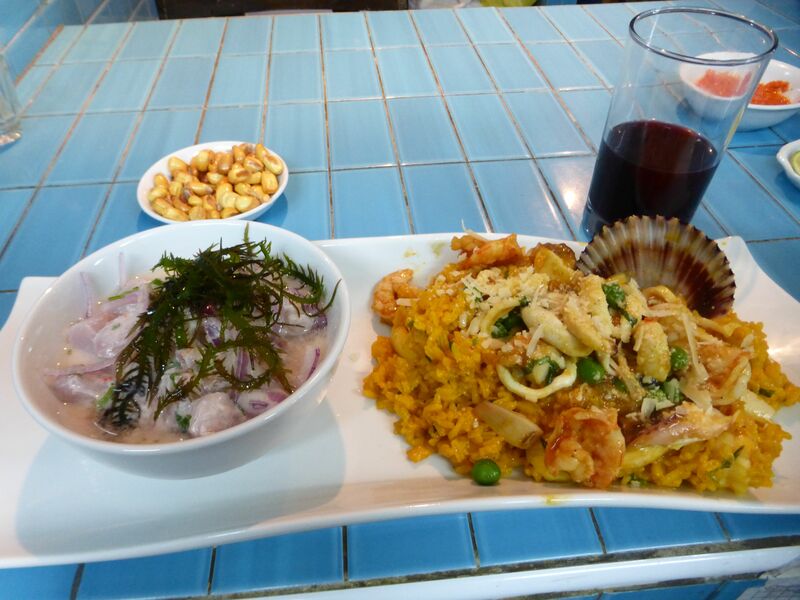 We ordered Parihuela, a rich seafood stew, arroz con mariscos (rice with seafood) and of course ceviche. It was divine. The ceviche was standard, but with a little sprig of seaweed on top. The scallops in the Parihuela were perfect pillows that had clearly been harvested that morning. The calamari in the rice was tender and packed with flavor. The restaurant was more of a bar with stools in the center of the bustling seafood department. Clearly they had low overhead, and because of this Adri and I enjoyed this feast for the equivalent of $10 USD. Even the next day my mind and taste buds were still lingering on our meal at the Mercado. What a brilliant model! To have a set of restaurants literally inside a fresh food market eliminates so many middle-men and costly steps. Even the 5 star restaurants couldn’t have been getting ingredients as fresh as these. The fish was delivered every morning to the market and the restaurants would open at 10am to start cooking. It gets so overwhelming in the US to think about how healthy food could become affordable and accessible to the masses. And yet here was an example of how it could be simple. By cutting a few steps out of the food production chain, everyday people were able to operate restaurants with good food that everyday people were able to afford. Food for the people by the people. So why don’t you see this model in the US? Well one reason is the lack of wholesale food markets open to the public. Another is all the costly and difficult to obtain licenses required to sell food in any format. Can you think of more? Leave your thoughts in the comments. Fortunately, this was not the last meal we ate inside a mercado food court, if you will. In Cusco a large chunk of the Mercado was dedicated to one-person food stands. Often each of them would offer only one or two dishes. There was the chicken soup section where Adri and I found the lady with the Moraya dehydrated potato (see part 3). Then there was the fried fish and rice section, the breakfast section, the fresh smoothie section, and lastly a section of assorted home-cooked meals. This was definitely where the locals were eating! We only saw two other foreigners in the 4 hours we spent at the Mercado. I found an abuela selling something I had never seen before that looked like a pumpkin stew in the assorted meals section. Sure enough it was made of the giant pumpkin variety I had seen being sold in sawed-off chunks throughout the market. I came to learn it is called Zapallo. 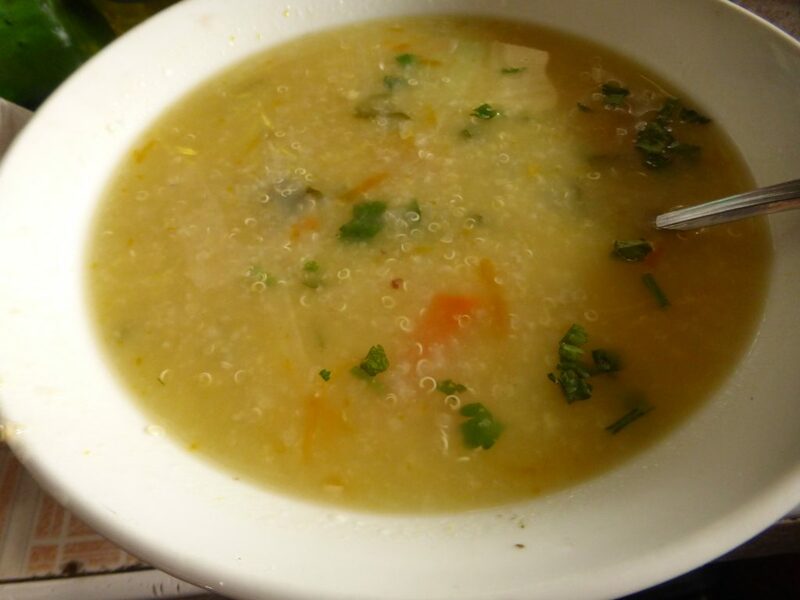 I ordered a dish of the pumpkin stew over rice and was informed it came with a bowl of Quinoa soup that felt like it could have cured any ailment going down. All together it cost me 5 nuevo soles, or a little less than $2 USD. Now that is affordable! Just to offer a point of comparison, at an average restaurant in Cusco, lunch would cost closer to $7 USD, and $15 at a touristy restaurant, and the portions would be noticeably smaller. We returned almost every day to eat lunch at the Mercado. Speaking of Quinoa, I can’t write a blog about Peruvian cuisine without mentioning this pseudo-grain that has swept across the global market for health foods. It is all the rage, mainly because it is gluten free and high in protein, but it also rich in many vitamins and minerals. I should note that it is native to Peru, specifically the Andean region. I heard some concerns before coming to Peru, that Quinoa is in such high demand globally, that it is becoming unaffordable and hard to find for local Peruvians. This is because exported Quinoa is gaining so much profit, that for more major cultivators it is not worth it to sell it locally. It was indeed hard to find in Lima; I only saw it at one artsy souvenir shop where it was sold for $8 USD for half a pound. That is even more expensive than what you might find at a Whole Foods. So then how was the abuela at the Mercado food court selling me a bowl of Quinoa soup for less than $2 as a side to an entrée? Well, I did notice that cheap, bulk Quinoa was being sold by women on the sidewalk. They had it wrapped in shawls and weren’t selling anything else. The amount they were selling was so small it was obvious it was from their own farm. The Mercado in Lima on the other hand didn’t sell any Quinoa, which makes sense because it is not produced there, and mercados specialize in local foods. I believe the trend of local superfoods becoming unaffordable to locals in the country of production is a real concern. Fair Trade at least ensures the farmer is adequately compensated, but this does not ensure that the product will continue to be made available for purchase in local markets. However, locals markets fueled by small scale farmers that don’t produce enough to supply export companies seem to offer some buffer to this trend. If it were not for the Mercado, it would have been well near impossible to find Quinoa in its’ birthplace. The supermarket certainly wasn’t selling it. Quinoa is not the only ingredient that was introduced to our palettes upon our arrival to Cusco. Alpaca and Guinea Pig are both popular meats here that we were told we must try. Cusco lies in a valley of the Andean mountains at an altitude of about 9,000 ft. Perfect conditions for llamas and alpacas. 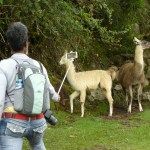 We got to see some llamas first hand during our visit to Machu Picchu, and I am glad we only ate Alpaca because I don’t think I could bring myself to order llama after that. The locals also use Alpaca wool to make all kinds of clothing, and Adri and I invested in some Alpaca sweaters to keep us warm during the cool nights. It was almost our last night in Cusco and we realized we hadn’t yet tried Guinea Pig! We had seen it being sold from street stands a few times, but we didn’t think that was the best idea so we asked a local friend to recommend us a good restaurant. She told us she had tried them all and sent us to one across the street that she vowed was the best. We walked into to a restaurant with classy ambiance and live musicians. After settling in and studying the menu we ordered grilled Guinea Pig, Alpaca carpaccio (yes we ate raw Alpaca), roasted duck in cilantro sauce, and grilled trout over pureed Oca root (the tuber that looks like a bright orange potato but is in a different family). No it was not just the two of us eating! We split it between five people but it was still a lot of food! We polished off everything except for the Guinea Pig. Turns out it has a really strange flavor with subtleties of fish, and thick skin reminiscent of pig. I was the only one who didn’t dislike it, but I didn’t love it enough to eat the whole thing either. My favorite was by far the Alpaca Carpaccio. We came to discover that Guinea Pig is traditionally eaten only for special occasions, like weddings, or during seasonal festivals. Overall I loved the food in Peru although it took me a while to find the diversity I kept hearing about. Until we got off the beaten tourist path, we were finding a lot of Sangucherias (or sandwich shops), Ceviche and Aji de Gallina. While all of these things were delicious, we began to feel like the only vegetables we were eating were onions and potatoes and that everything on our plates were either white or yellow. Once we started to branch out, however, we found that there was plenty of color. For example, they used Kalamata olives to make a puree with olive oil that added brilliant splashes of purple to many a dish. 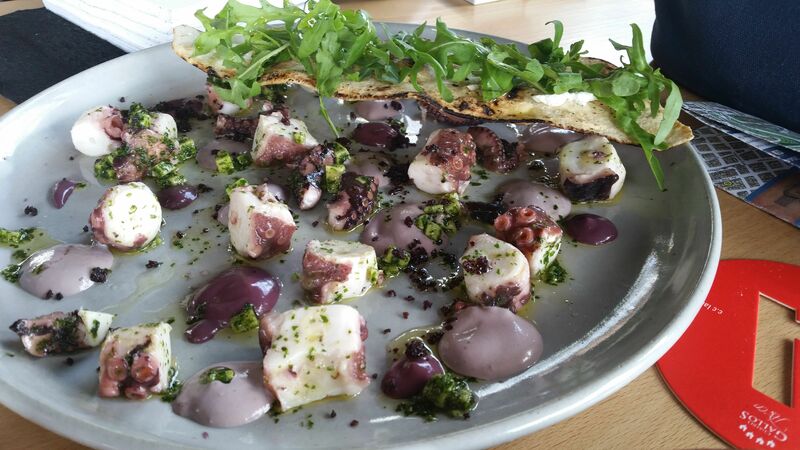 Two of our favorites were the poached octopus and the Causa, both drizzled with purple olive magic. 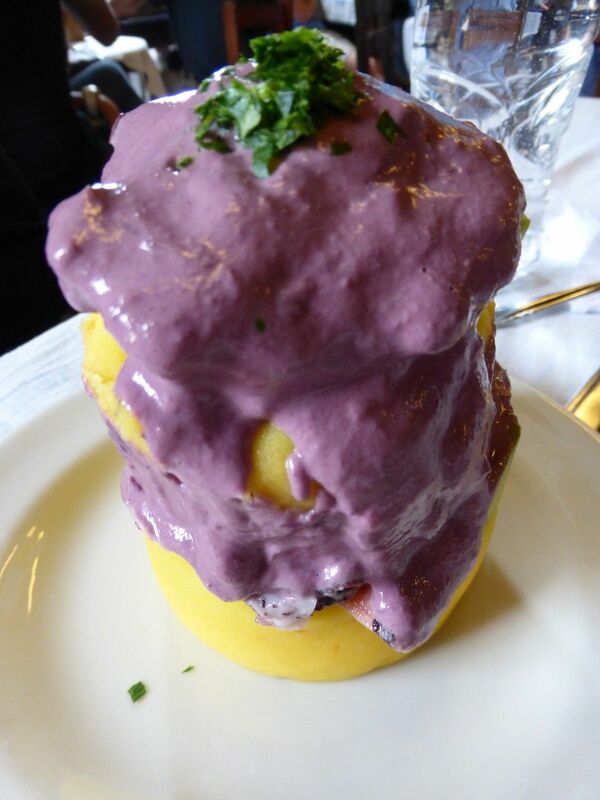 The Causa is one example of how they get very, very creative with their potatoes. It is a stack of layered mashed yellow potato, sandwiching a middle of either meat or seafood that has been mixed with homemade mayonnaise and spices. I didn’t find a lot of vegetables at restaurants unless we went to the pricier ones, but I did delight in the creative ways they used potatoes. Although there certainly weren’t any shortage of vegetables at the Mercado and I saw plenty of people buying them, so people must have been cooking different at home than what I was finding in restaurants. The most vegetables we found were in the Mercado restaurants, which had a very home-cooked feel. One thing I came to like about the food culture in Peru was the way people really took their time to enjoy a meal. Servers in restaurants hesitated to clear plates and ask the table if they wanted the check. At first I thought maybe they were just being rude, but I asked some locals about it and they explained that they simply don’t want to rush you. It is not uncommon for people in Peru to eat out and then linger to socialize for a few hours. This reminded me of China where people would sit around for hours drinking tea after a meal. Of course not all the meals in Peru are slowly savored. Convenience in the food industry is a real demand that exists wherever people are entering modern workforces. In urban centers it was easy to see how Peruvian food culture is adapting to meet this reality. On one side of the spectrum you have the appearance of global chains like McDonalds and Pinkberry popping up in city centers. However, these are relatively expensive and mostly regarded as a novelty where the locals might go for a special occasion. Local restaurants have also adapted to meet the need for speed. The Sangucherias offer an array of sandwiches to go with traditional ingredients like Peruvian style roasted pork. We found a few diners that served up all the basics like Aji de Gallina at a pace people could fit in on their lunch break. Convenience in it of itself is not a bad thing. Like any aspect of modernity it comes with pros and cons. People are freed up to do other things when food and shelter don’t take up the majority of how people spend their time. Women have more opportunities to enter the workforce when the food industry develops so that people can buy food at markets instead of grow everything they need for sustenance. Women don’t need to spend all of their time growing, harvesting and cooking anymore and this is progress. But it is always interesting to see how far people go in their quest for convenience. Do we really have so little time that we have to pay extra for pre-chopped onions, or only have time on our lunch breaks to microwave a TV dinner? Sometimes things seem to be perceived as faster than they actually are. Is going to the supermarket really all that more convenient than going to a Mercado? In both Peru and China it seemed the supermarkets were more spread out across the city. Shopping in supermarkets usually goes hand in hand with a culture of driving personal vehicles, because they are far away and you buy so much at a time you wouldn’t want to carry it home while walking or taking public transport. The time spent on filling up your gas tank or waiting in traffic is not something people generally calculate into their time spent on obtaining food. The mercados on the other hand are generally more numerous and easy to come by. People might go to mercados 2-4 times a week instead of doing one big shop at a supermarket, but if you really wanted to you could easily to one big shop at a Mercado as well, it’s not like there isn’t enough. Sure you can’t buy packaged ‘modern’ foods like cereal at mercados but do we really not have time to fry eggs or eat bananas in the morning anymore? I think convenience and modernity often become interchangeable in people’s minds even though they are not the same thing. Just because something is “modern” doesn’t automatically make it convenient. Modern is such an elusive concept it is hard to define anyway, but in the minds of many people it can be mistakenly equated with Western or American, because this is the message that is globally propogated. This is unfortunate because so much about traditional food culture is convenient too. What could be more convenient than making ceviche? All you need is some fresh fish, lime juice, and some pre-boiled corn and sweet potato. It only takes a few minutes for the lime juice to kill the germs on the fresh fish and then it is ready to be eaten. Many of the diners we went to in Lima served up traditional Peruvian dishes within minutes, and we waited no longer than we would if we had went to Mc Donalds. We didn’t have to wait at when we ordered food from the Mercado food courts. Unlike a normal restaurant, they had a menu del dia of two or three dishes they had cooked up that day. Everything was already prepared so they just had to put it on your plate. Now that is convenience! Food culture is not a constant. It is always adapting. Exact traditions do not need to be strictly preserved to be authentic. Local food cultures can adapt to meet changing demands for convenience or modernity and still remain unique. The important thing is that locals have pride for their food, and this was undeniable in Peru. People are passionate when they recommend you the local specialties, the vendors at mercados are proud to offer fresh produce, and chefs are constantly innovating new ways to use local ingredients. One example of this was a sushi roll we ordered that had toasted quinoa on the outside. Japanese food has influenced Peruvian cuisine for some time now, because a large wave of Japanese immigrants came to Peru in the late 1800s. Fusion food is often looked down upon as a form of inauthentic cuisine, but I see it as an expression of the increasing diversity that is part of a global, modern reality. Thank you for joining Adri and me on this food journey of Peru. If you want to hear some about Adri’s experiences and see more of her art and photos, start here: What I Need in Life. She is an amazing artist and has been doing watercolors as we travel. I’d love to hear your thoughts. Please leave your comments and let’s carry on the conversation about our favorite foods, culinary adventures on the road, and where you like to get you food. As our climate changes, so will our foods and our access to them. Humans are highly adaptable as we most dramatically see in the many ways we can adapt our foods adding and replacing ingredients as the world changes around us. Let’s keep talking about food, justice, and our adventures in eating.